Heavy rain, which may lead to flash flooding, is expected to continue today. Sometimes its good to be prepared !! 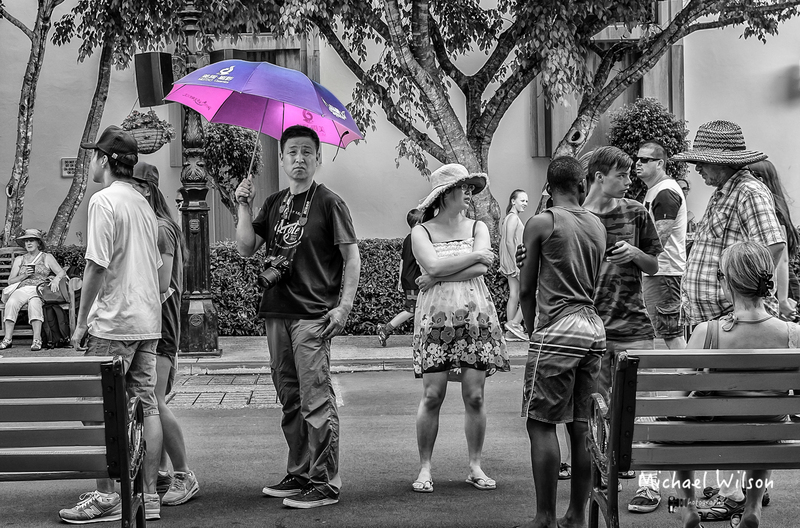 This entry was posted in Photography and tagged black & white, Gold Coast, Lightroom, Monochrome, movie world, People, Photography, Queensland, Silver FX Pro, Street Photography. Bookmark the permalink. Love this shot Mike. One of your best!